The return services will continue until 9:30pm. The return services will start after the second-to-last last race and continue until 8:30pm. Shuttle buses will leave Eyre Square as required from 11am until 4pm. Return services will start after the second-to-last last race and continue until 8:30pm. Shuttle buses are advertised as leaving Eyre Square "as required" from 11am. However most people catch the regular 403 or 409 bus on Sunday as the special buses are not usually running. Adult fare: €7 single, €10 return. Return buses leave 30 minutes after the last race each day, from the bus park at the Parkmore / Avenue entrance to the racecourse. 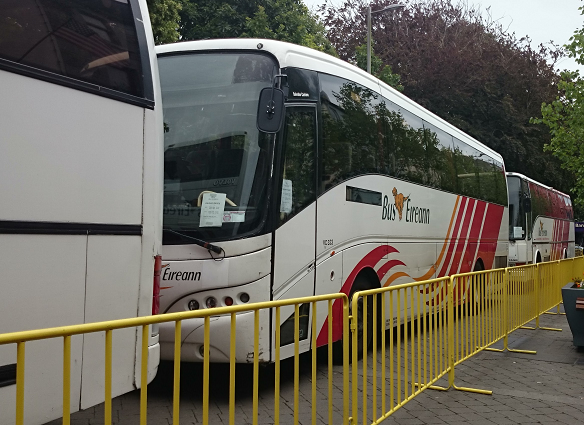 BusLink are running shuttle buses from the Arch carpark (beside the two secondary schools), and picking up 10 minutes later at the Raheen Woods Hotel. See the Athenry neighbourhood map for details. 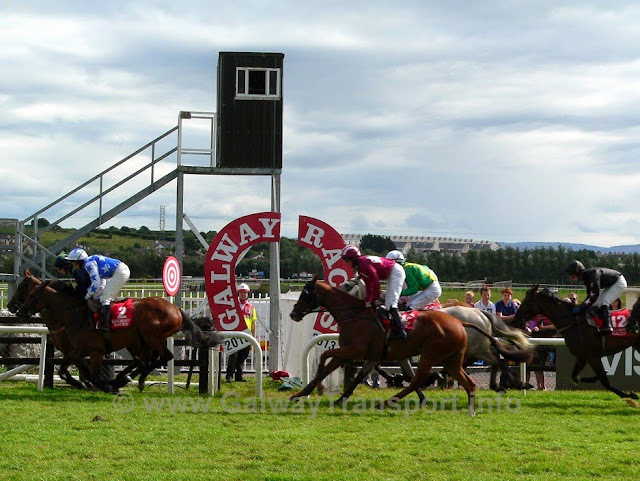 €3 each way. Buses start 2 hours before the first race, and continue every 30 minutes through the day. Return buses start 20 minutes after the main race of the day. Bookings recommended. Lough Rea hotel are offering a bus & BBQ package on Tuesday, Wednesday, Thursday and Friday only. Bus leaves the hotel 2 hours before the first race, and the return bus leaves 30 minutes after the last race. This is open to members of the public as well as hotel guests, but must be booked in advance. Return buses leave one hour after the last race each day, from the bus park at the Parkmore / Avenue entrance to the racecourse. 4:25pm Galway to Longford route 425 (via Mountbellew) will not leave until 6pm. The full traffic-management plan for 2016 is to be advised.